Don't be afraid of your Aunts Dress! 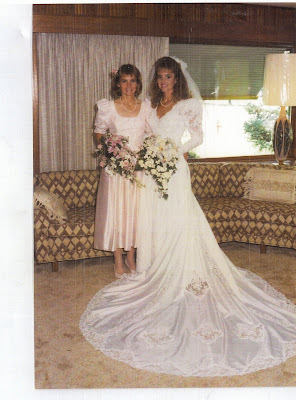 I had a client of mine use a friend of the family's dress as her wedding gown. This dress was beautiful but needed major updating. I believe that the seamstress did an amazing job and commend her on the gowns transformation. What do you think of the new look? Could you trust a designer with a used gown and turn it into something that you hope will be fabulous? Jamie looked stunning and was very pleased with the outcome.